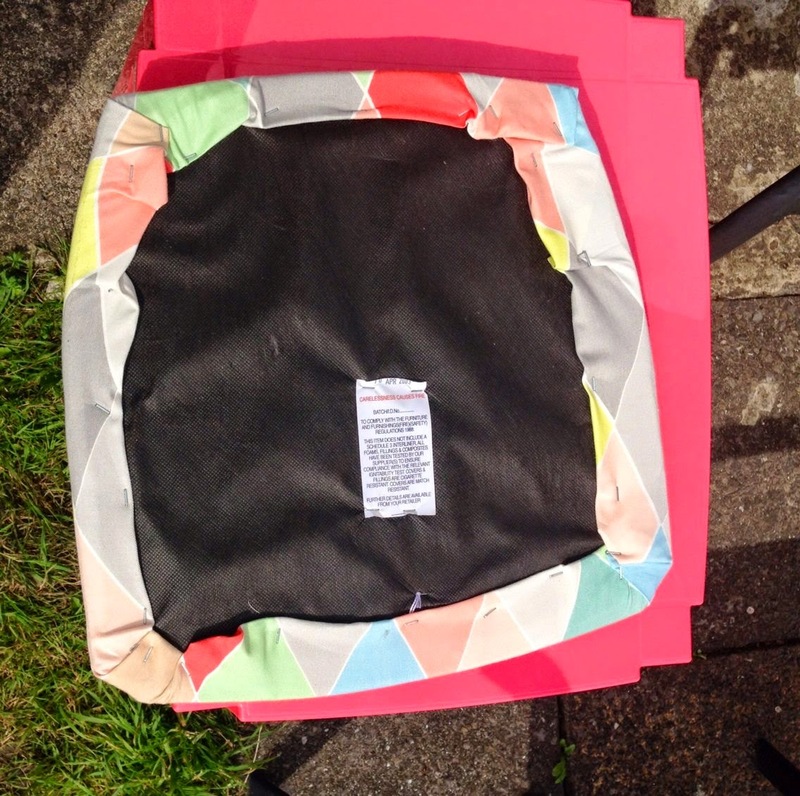 Mrs Helicopter Writes: Upcyling Chairs with a Lovely #IkeaHack! 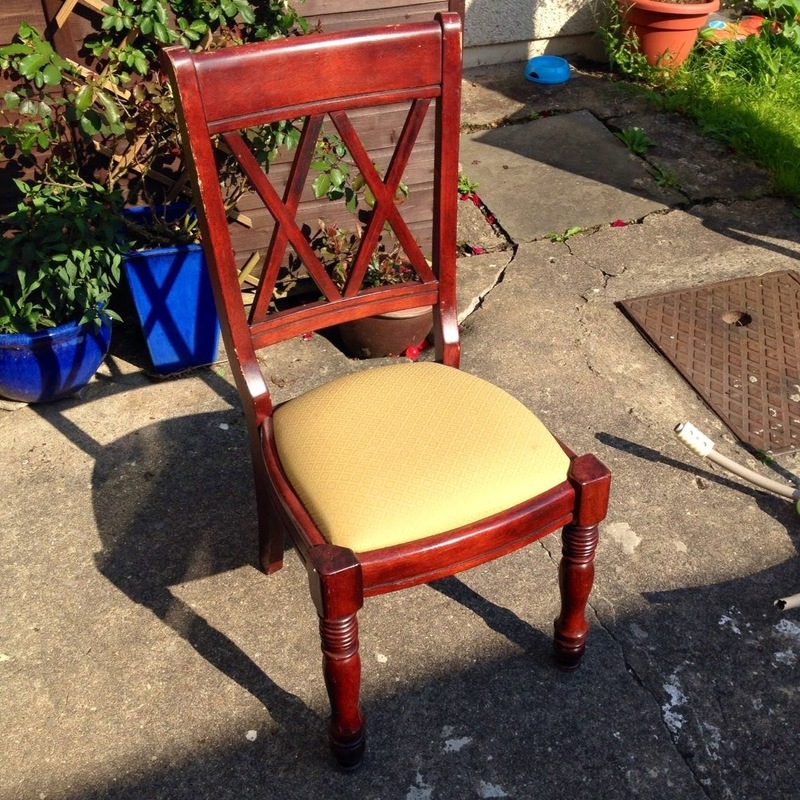 Upcyling Chairs with a Lovely #IkeaHack! This is going to be a mainly photographic post. I've had a bit of Kirsty Allsop inspiration and decided to UpCycle my old dining room chairs (which I'd bought from an Antiques Market for £40 a couple of years ago) into new funky, bright ones. With a little Ikea Hack thrown in for good measure. Ikea have this new range out which is SO limited addition that it's currently on sale. I LOVE it. 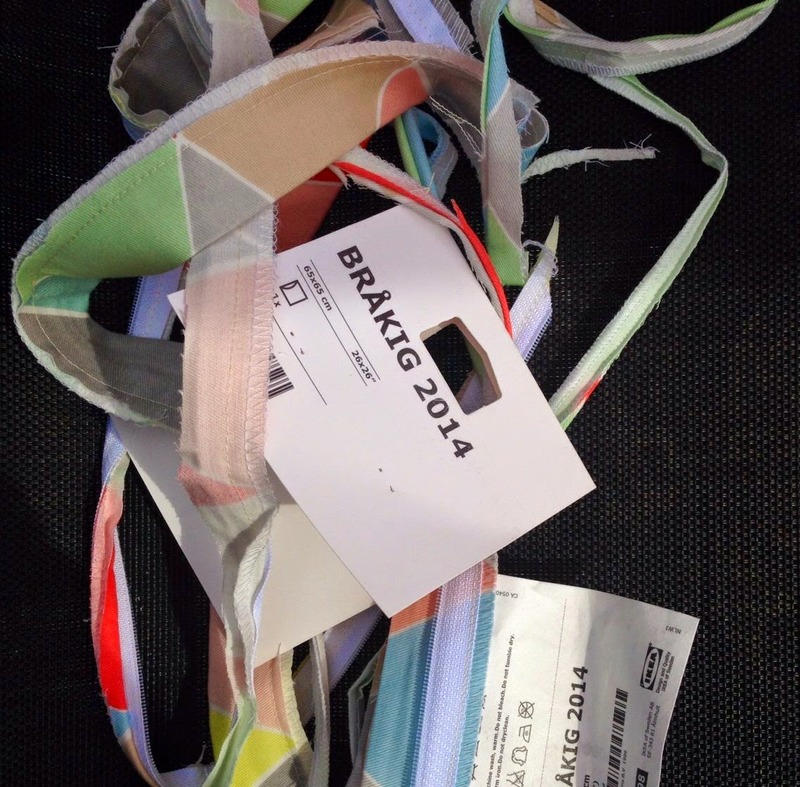 Brakig. It's awesome and SO my taste. I'd decorate my whole house in it if I had the time/money. I don't. So I'll make do with some new dining room chairs. OK I bought some of the bowls too....but sssssh! 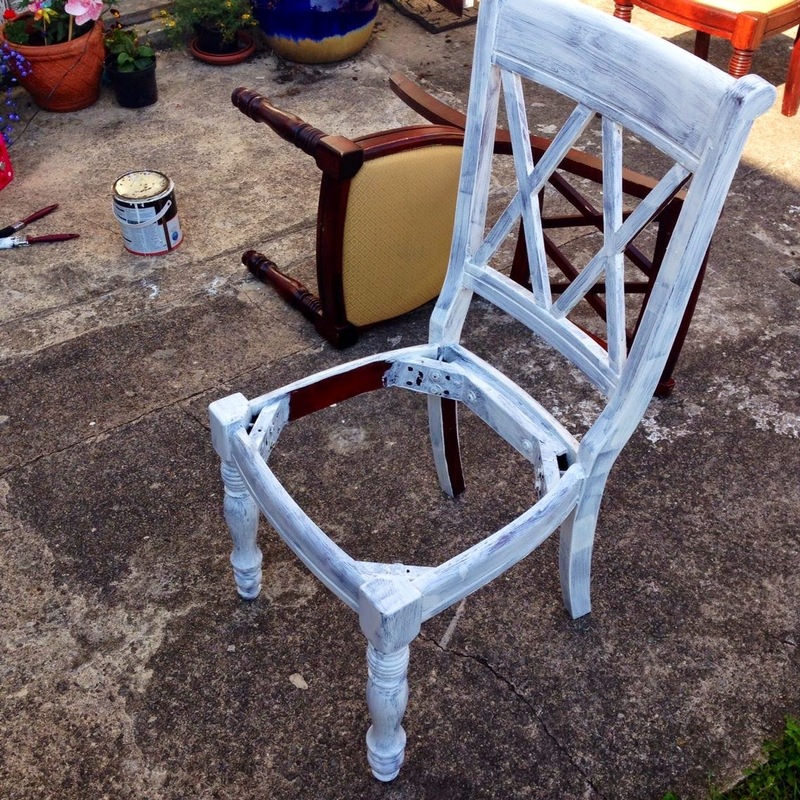 So I've wanted to paint my chairs for a while but couldn't think what to use to cover the minging old seats with. 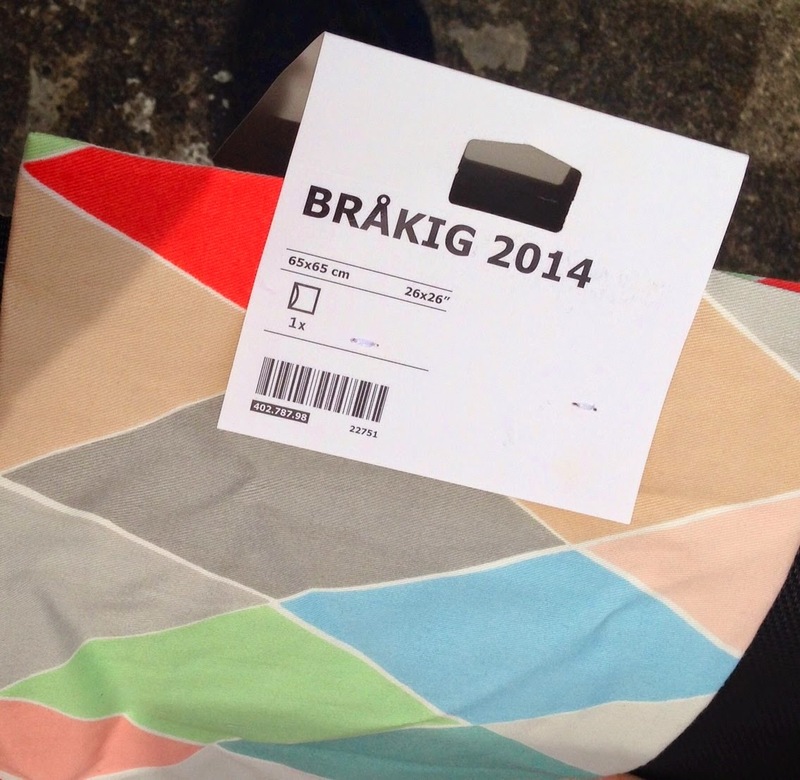 Then I saw the big cushion covers on sale for FOUR BRITISH POUNDS in Ikea and I thought ...wowsers! One cushion would cover 2 seats at 26'x26'! Cheap as chips! 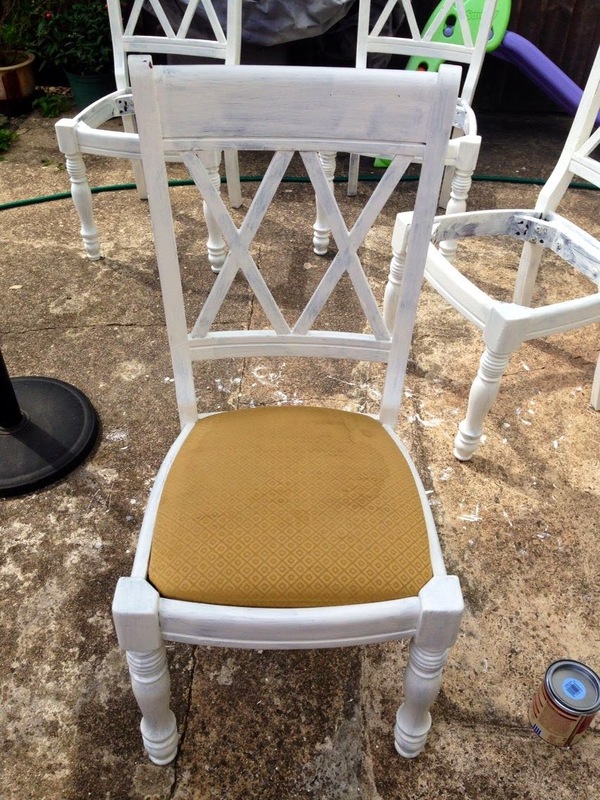 I used some old undercoat on the chairs first. 2 coats of that. 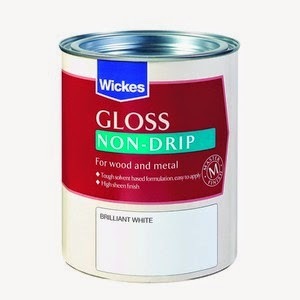 Then 2 thin coats of cream gloss...only one small tin's worth £10.99 and that's it! I unscrewed the seat pads. 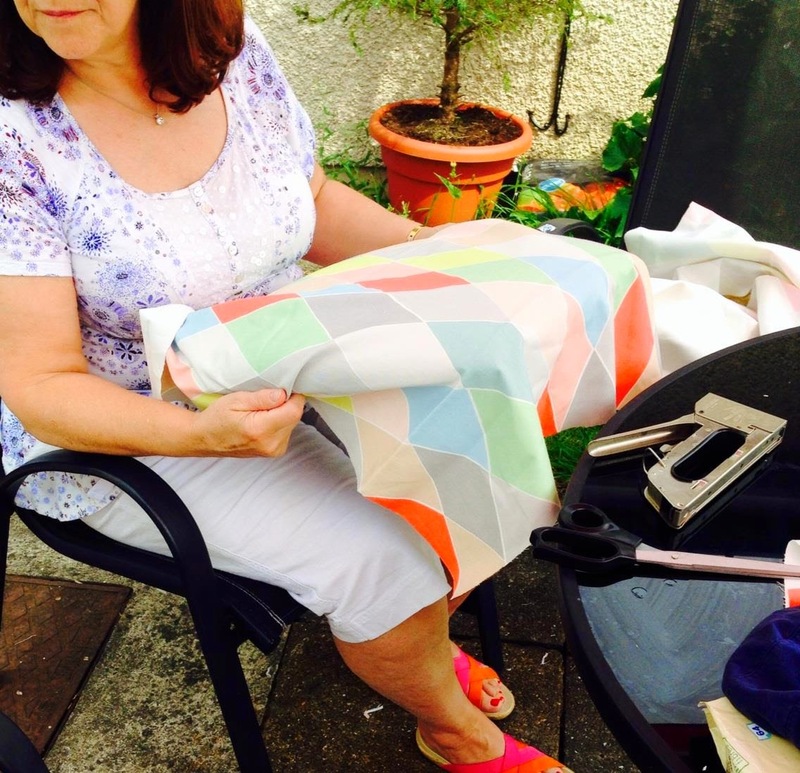 Cut the cushions in two and cut off the seamed edges and zips. Stapled them onto the seat pads and screwed them back into place on the seats....jobs a good 'un! 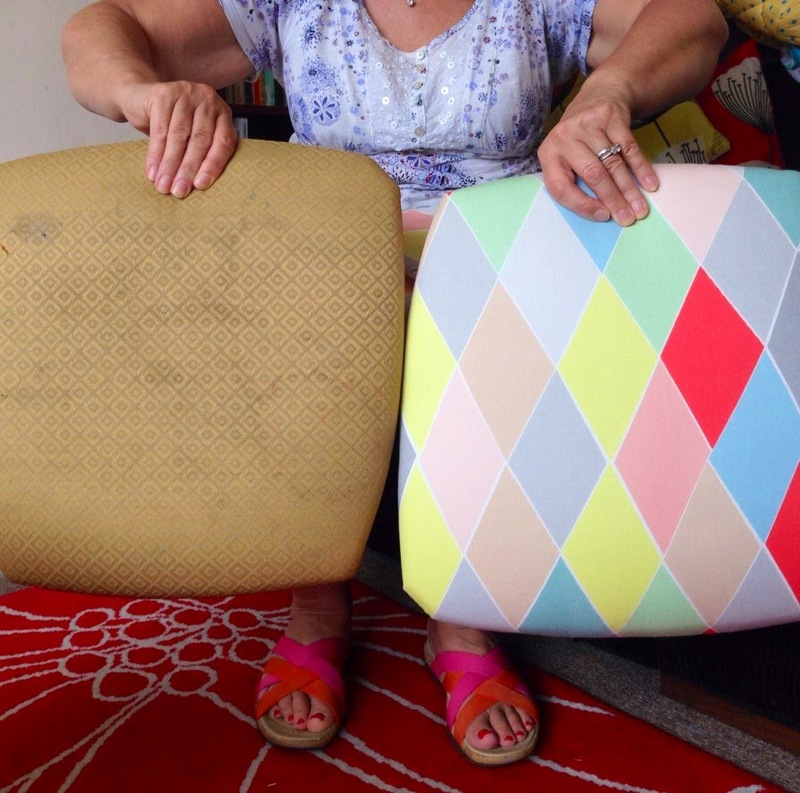 *Actually a little confession....my mum helped with *cough* DID *cough* the seat pads. Ta-da!!!!!!!!! The finished product, side-by-side with the original! I'm a genius, what what? I love it. 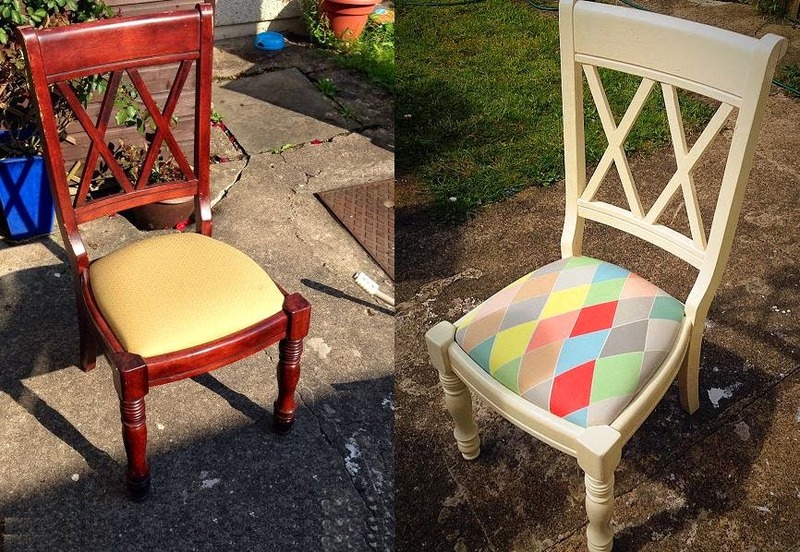 They turned out great and now I want new chairs... well old ones! Wow - these look great. What a total transformation!